Sun is Shining on the Mambo Brothers Summer in Ibiza at the moment! 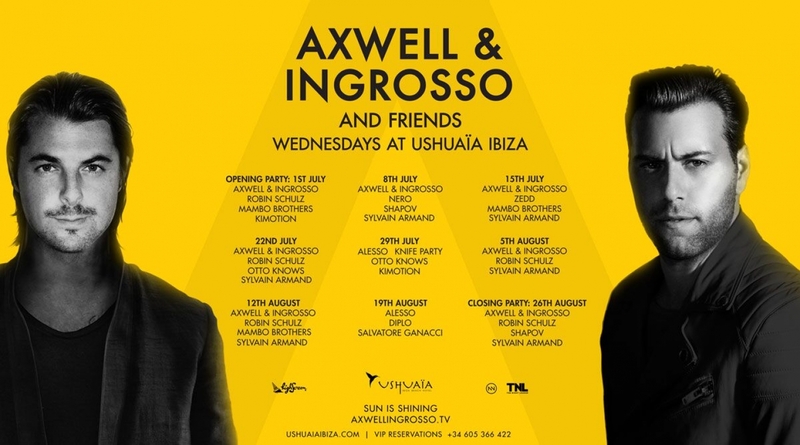 Huge dates have just been confirmed as they join Swedish House legends Axwell and Ingrosso on their Wednesday Party at Ushuaia Ibiza. Playing alongside some of the worlds biggest talent including Nero, Robin Shulz, Alesso, Knife Party, Otto Knows, Zedd, Diplo and of course Axwell and Ingrosso themselves. If you like your parties with a touch of class, top grade production and big beats - Wednesday Nights at Ushuaia will be the place for you. Catch the brothers playing on the main stage on the 1st and 15th of July and the 12th of August!